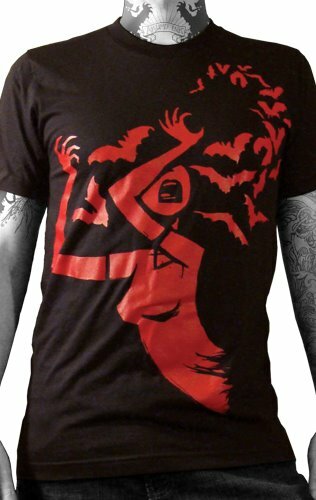 So this is our new design based around a girl being attacked by hungry blood thirsty bats. Simple design and oversized print a must have for any Akumu Ink fan. 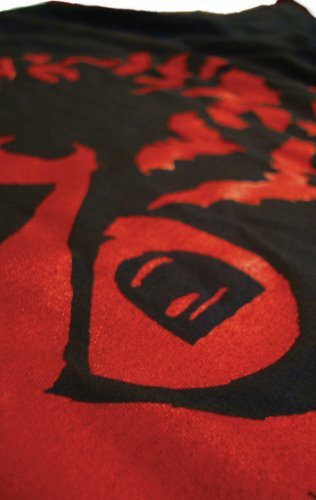 Usually our red prints are darker and carry a vintage look (Of Horror I and Shukketsu) but this red print is bold and bright. I will make this design available on a hoodie very soon as well as bring in some older designs on hoodies and our selection of coloured shirts. In the meantime if you want something and you can't see it for sale message me and I'll be glad to accommodate you.